Today, Joe Sanok speaks attracting your ideal clients, part 2 of 5, networking and media. Preserve the feeling of ‘I don’t want to come across as too pitchy’ – that’s good! You want to come across as authentic as possible. 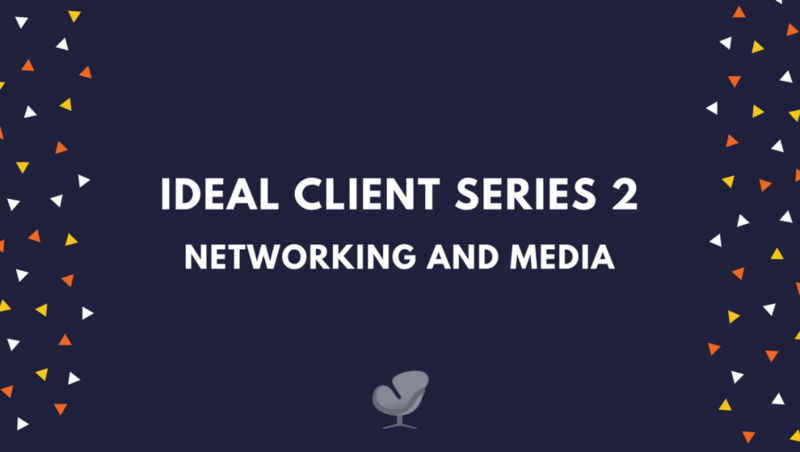 Reach out to the people who connect with your ideal client. Talk to schools about speaking about big issues that kids / parents are dealing with and tie this in with your expertise. Advocate for the places you networked with via social media. Bring show notes if you are going to be on radio / TV. Come prepared and be sure to include your call-to-action at the end as well. Try find local magazines who are looking for writers. This is great, free, additional exposure. Look how you can portray your own strengths various media channels. 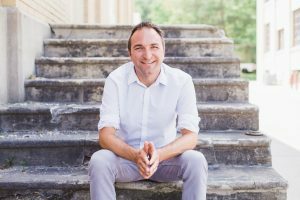 [1:02] The practice of the presence podcast and joe sanok your host and i am so glad that you are here we are doing a series of all about how to attract your ideal client and today we’re talking all about networking and media. [1:16] When i had just moved back to traverse city a been working for c and h town in kalamazoo i helped launch a therapeutic sailing program where was this great sixty foot long wooden concordia cutter. Boat the only replica of which the kennedy family owns and i’m just like would haul wood everything gas lamps such an amazing boat. And the reading just the trick a pirate ship it was insane. experience a program that there be right on the sailboat there are lots that did ceiling and then people come and do the therapy and then go back a ceiling what were the only one of the time. so just keeping it up we need to like thirty grand or so a year because the would do if it rots walls of the boat is obsolete. so that she has some idea of what you wanna talk about. So give these notes to marry in the morning show me rogers now has the experience fifty podcast which is awesome such a good podcast. And some very rogers has me on the show to talk about this program and chat it up with her she goes really well or feel that goes really well. two just talk about therapeutic issues i would love to chat about different things and she said well here’s my card email me some ideas of the types of things that you would want to talk about. I’m so that day i email her five different ideas of what we could talk about all of them are sort of cliffhanger ideas. so i think that show is turning seventy am so every other week and like waking up early to go to the show i talked. I get some clients out of it for my private practice and i’m like this is insane how is it that i just moved to this community literally. I moved back two months earlier. And are they on the radio was just like her local therapists not doing this and what i discovered is that therapists really don’t put in that time to try to connect with the local media and local networking. get to know people three five little bit about how to network and not have to feel like networking then we’re gonna talk a little bit about. Can cool you should be connecting with their also talk about how to engage with the media on-going basis and become a resource to local tv local newspapers and local radio. it’s all full of yourself and like i am the best an awesome you need to come see me. Nobody wants that you want to make this be a great experience with the media or with the people you network with and i know that you all have such huge hearts that that’s not gonna be a problem. So let’s preserve that feeling i don’t wanna come across as sales the rate from the beginning. So keep that in mind that when you’re on the radio when you’re connecting with a school counselor or something on a massage therapy practice. It’s just a relationship its you and that person getting to know each other. You having a clear message that you’re bringing in those situations and then also clear listening your therapists you know how to listen better than almost any other field see use that to your advantage. So imagine that you have taken from the last episode tho spoke to go off of your ideal client and you realize that your ideal client. Goes to yoga at yen yoga in downtown traverse city their kids go to the pathfinder school which is a private school and they also sometimes occasionally attend a local church but maybe like once a month. [6:33] He got a couple of ideas there of who you could connect. number of my ideal clients are at your church or. My ideal clients the they go to go and the come to your glasses i would love to come see your facility and just talk with you about what you guys do so that i have a better idea of how to talk about you. [7:09] And if you find appropriate degree from michelle about my practice michaels just to get to know resources in the community. This is a great way to just connect who were around and be able to connect with the people that are connecting with your ideal client. And what’s really cool is you don’t know where those connections are going to happen. [7:28] And you don’t know where those ideas are gonna go those collaboration ever consulting client. She’s working with yoga studio to put on a series about mindfulness and so that gives her great spotlight by speaking their. Another idea is to talk to schools about speaking about specific issues a few me with the headmaster or principle or a school counselor to ask them what the issues that your kids are dealing with your parents you’re dealing with. i would love to talk about how to co parent effectively after a divorce to have one or two of those parents come. Those are the kinds of things that then add tremendous value to a school a church yoga studio. Any of these other businesses that they can offer for free to people or for a small fee. I think new for sale you don’t charge people just do your best to kinda get out there. and they do these are the services and here’s something i picked up from that conversation that i didn’t know that i learned from so and so and i tag them and often him so share it. And also share that through the mental illness counseling facebook page as well you are looking at who else is doing private pay. now i suggest talk about and a medial z but radio local newspapers and local magazines and local tv. And there’s a few things that you can do that are really gonna help you had alluded to this at the very beginning. Making sure that you’re very prepared especially your first probably five or six times bringing show notes if you’re gonna be on a radio show or even if you gonna be on tv. If you know the topic you’re talking about come prepared give bullet points of the research you want to cover it you wanna reference and that’s gonna make that host looks so much smarter than be able to say. Joe wasn’t there harvard study that talked a little bit about marriage in about affairs and do you include you but brought that up that’s awesome that you know about that. And it’s because it was on the sheet of paper so they look super smart. [10:04] I did that for probably the first year that is on the christal frost show which is a show that i’m on every other week here in northern michigan. It would bring showing up to now at the point that we can understand each others tone in usa with the topic we’re talking about let’s take calls and a ncaa basketball at. [10:21] Bit it’s important to come prepared and also have your call to action at the end of that so joe and act is a counselor in the owner of. [10:31] Sorry my phone is off but my computer is still accepting phone calls apparently so. Making sure your call to action so joe and i get the owner and condition at mental illness counseling where they serve. And then basically just talked about if i talk to anxiety then i’m gonna probably have to call to action about scheduling and payment be around anxiety. The other thing is trying to find it local magazines like every everybody has have a free magazines midtown so that the women’s magazine the business magazine express magazine. Your local paper they’re always looking for writers and i write a monthly column for the record eagle which is the smaller the machine paper. But literally two to three times a week somebody says all i just love your articles i clip them out and mail them to my son or daughter it’s a great way to get that free additional exposure. So as looking at networking as you’re looking engaging with the media look at how you specifically can pull your own strings out. Have them just the individual relationships as if it’s an intake session where you’re just getting to know these businesses you getting to know the pains are going through and then your offering solutions. 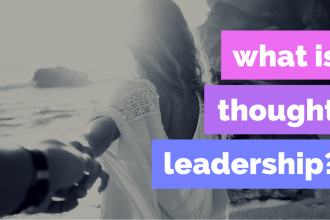 I’ve seen some of the most introverted counselors be so successful by just stepping out of the comfort zone just a little bit by getting coffee with someone going to the practices of the connecting with people that are connected to their ideal client. Thanks so much for let me in two years and into your brain tomorrow we’re gonna dive into exactly how to set rates i’m gonna give you a few different exercises that help you determine what you should be charging. [12:09] Private pay private practice thanks much have an awesome day i’ll talk to you tomorrow. or the professional information professional family.